There are several reasons why you should consider investing in Poly Lumber or Poly’ruf furniture. Below are the top five reasons to buy Poly products. It’s recycled! Nearly 100% of the content of Poly is recycled materials. Manufacturers take recyclable plastic milk jugs and put them through a cleaning process to decontaminate the plastics, as well as remove any residual paper and adhesives. The resulting plastic is then compounded into a board-like material, and products are made from the boards. Not all PolyLumber furniture is made in the United States (be careful – ask a Sweetland Associate WHY!). 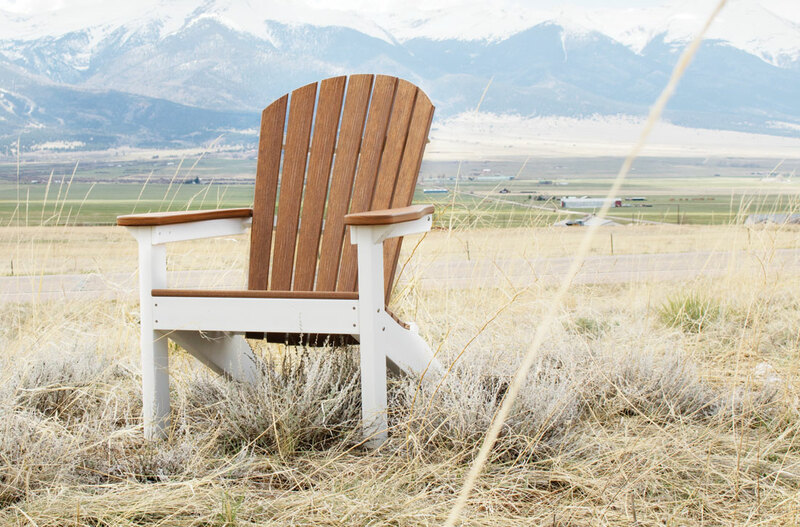 By buying American-made furniture, you’re helping to reduce your carbon footprint; not only are you saving on international shipping costs, but you’re purchasing a product made from materials recycled in the United States. Removing more plastic from landfills across the country helps keep the environment clean and healthy, and it gives you a great product in return. Poly’ruf furniture is built to last. 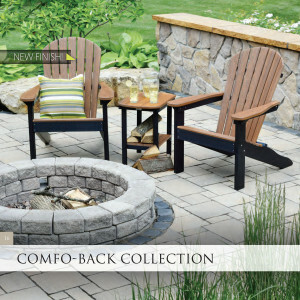 The recycled plastic material is much more durable than regular wood, and most pieces of outdoor furniture come with a 20- year warranty! With the new optional “textured” finishes on our Poly’ruf, it has the appearance of wood! By buying Poly’ruf Lumber pieces, you’re making an investment, one that is guaranteed to last you 20 years or even longer, and thus saving money in the long run. PolyLumber furniture is very hard to damage. Unlike regular wooden furniture, Poly’ruf furniture will not warp, crack, split, or rot. Poly Lumber is also resistant to mold and mildew. That means it’s safe to leave your Poly’ruf furniture out on your deck or patio throughout all seasons, without having to worry about any damage that may have happened over a wet winter or a harsh summer. Your furniture will be of the same quality as when it was purchased, even after exposure to the outdoors. It requires little to no maintenance. Not only is it extremely durable, it’s also very easy to take care of. Poly lumber requires no special stains or waterproofing to keep it in top condition. Simply hose it off or give it a light scrub with a soft cloth to keep it clean, and that’s it! An occasional cleaning is all it takes to maintain the beauty of your Poly’ruf furniture for years to come. PolyLumber furniture is a great all-around investment. The furniture is made from durable materials that will last for 20 or more years, materials that are also incredibly easy to care for, and that won’t warp or rot over time. The recycled materials that PolyLumber is made from help reduce our carbon footprint, and Our Poly’ruf lumber pieces are made in the United States. 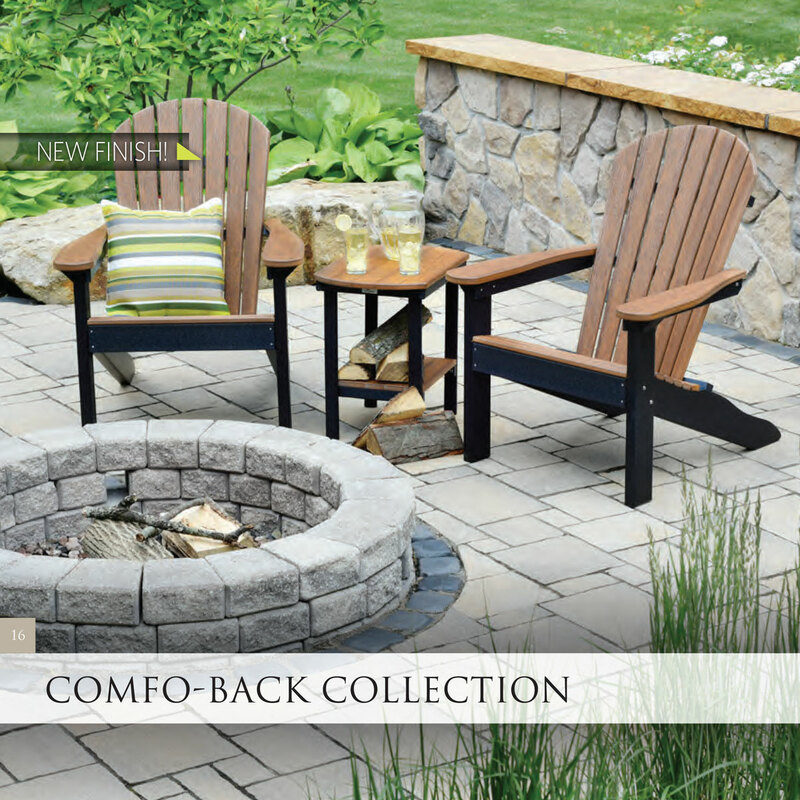 When thinking about investing in new outdoor furniture, consider pieces made from Poly Lumber – Available at Sweetland Outdoor – You won’t regret it!